I love seeing balloons floating away across the sky. This is a fun card that gives you some dimension. The Bendy Card directions can be found here. This card is being entered in the Global Design Theme Challenge this week. The theme is Balloons. Check out their website here. Follow the directions for the Bendy Card on SplitCoastStampers.com. Stamp clouds in Soft Sky with Sprinkles of Life on Soft Sky card base. Notch top of fence with Paper Snips. 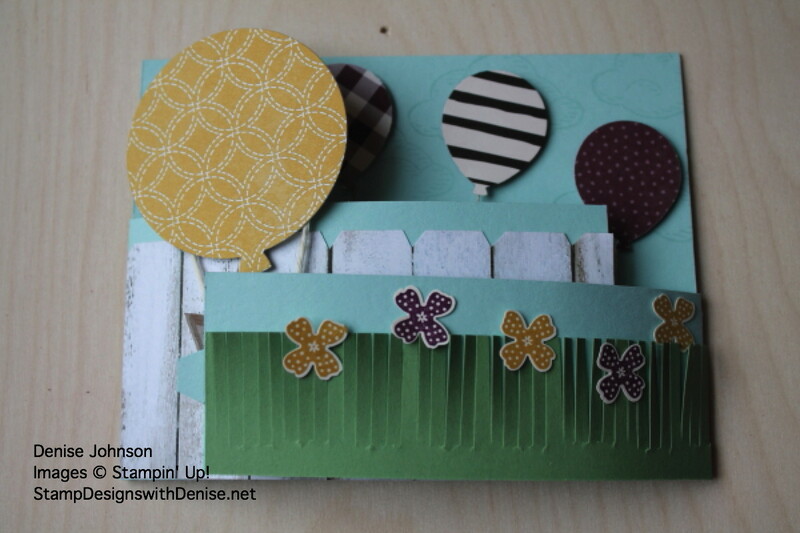 Use Fringe Scissors to make grass with the Wild Wasabi Card Stock. Attach balloon to basket with Very Vanilla Baker’s Twine. 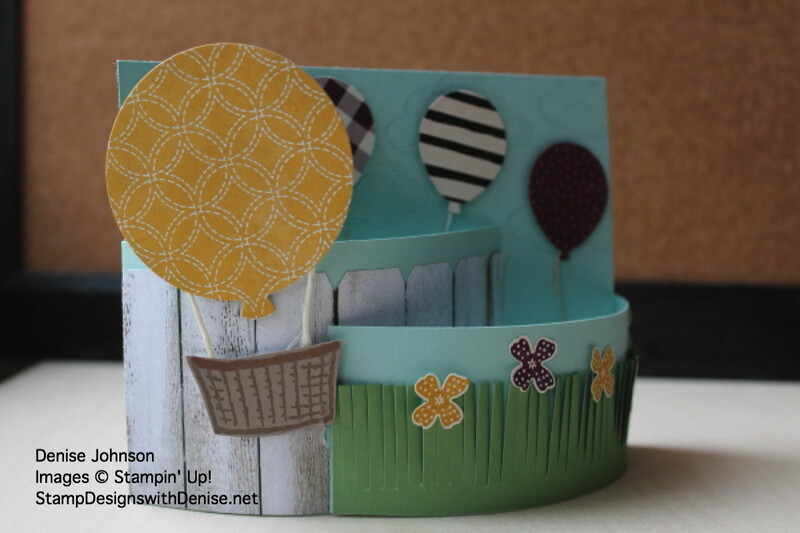 Use dimensionals to attach balloon and basket to card. 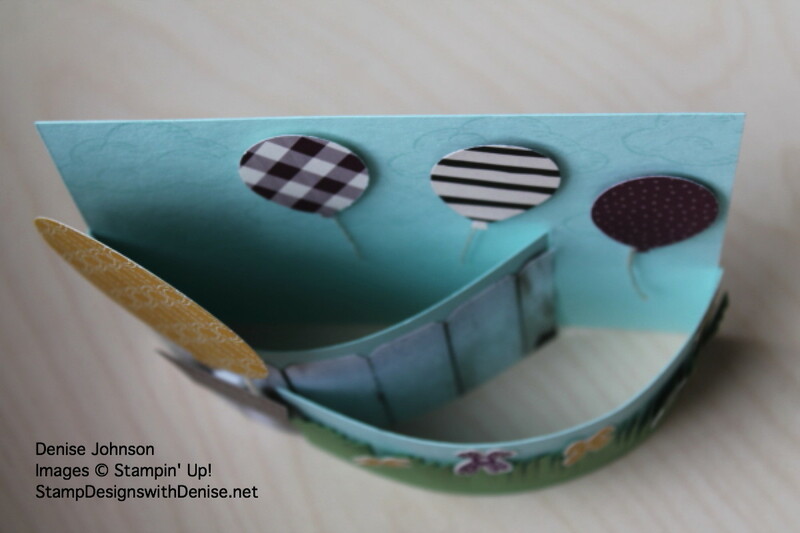 What a fun card, Denise! It’s so perfectly 3-D and a great showcase of these projects. I love it and have to try this! 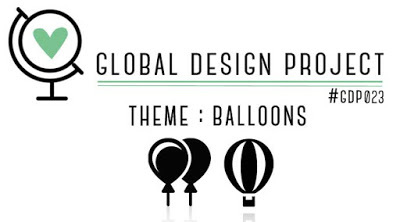 I’m so glad you played along with this week’s Balloons Theme Challenge at the Global Design Project – thanks! Why have I never scene a card like this before?!?!?! I am in love! I am putting bendy card on my to do list! I love this awesome bendy card. What a great idea. The balloons look like they are floating! Thanks for joining us at Global Design Project for this fun challenge. This is just terrific Denise! 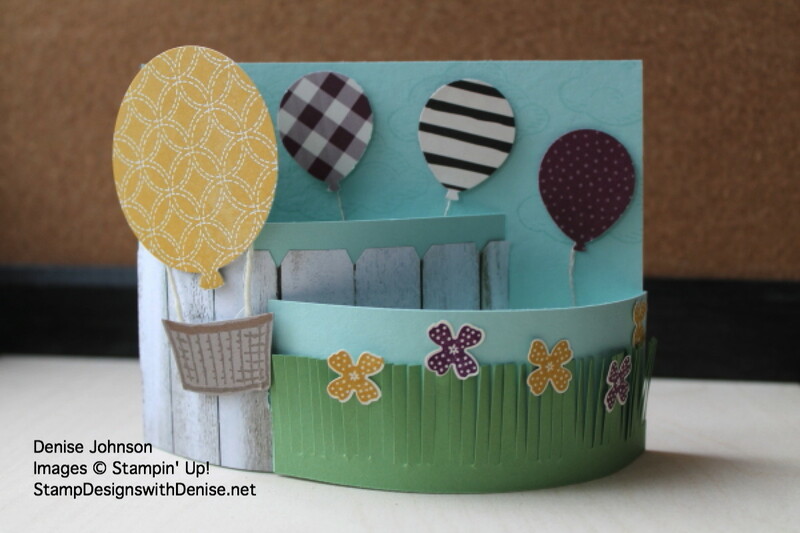 A fabulous idea to make a bendi card – it showcases your balloons so well! Thanks so much for joining in with this week’s Global Design Project challenge! Thanks Jess. This was my first bendi card, so I will be trying more now that I learned how to do it.